One of the simplest and most basic way to catch a trout is with a jig under a cork. 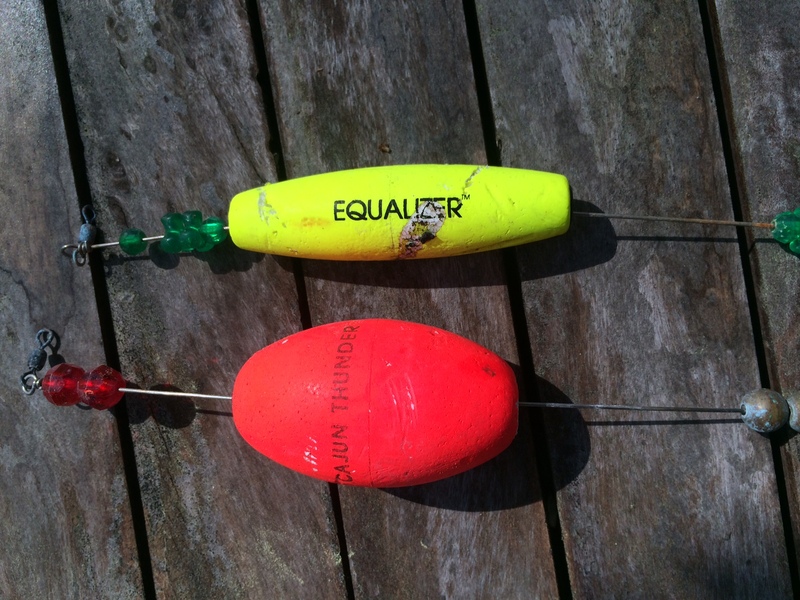 Guys call them tourist rigs, rattle corks, and clackers… “Cajun thunder” is a brand that’s become a name for the rig. There are two main shapes, egg and a cigar. Both will work and have their advantages. The egg is easier to see while the cigar shape has less drag for the fish to feel. Corks also come with and without weights- typically small brass beads. 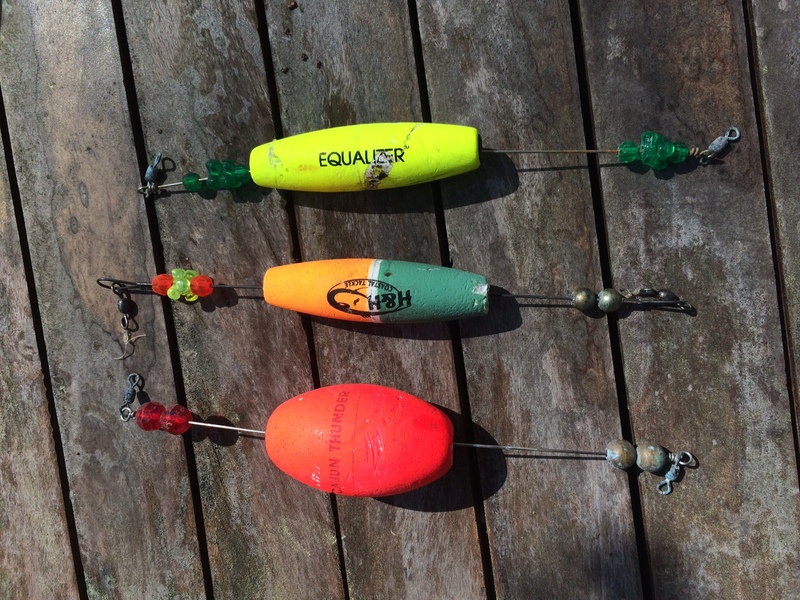 The weighted cork will stand up and be much easier to see when you’re fishing. And the added weight makes it easier to cast. They come in all kinds of colors. My personal preference is yellow/green. I find it easier to see than the traditional red. The second piece of the equation is a jig head. I cannot overstate how important it is to buy quality Jig head. Most brands have small silver hooks. I prefer one with a 3/0 wide gap hook. 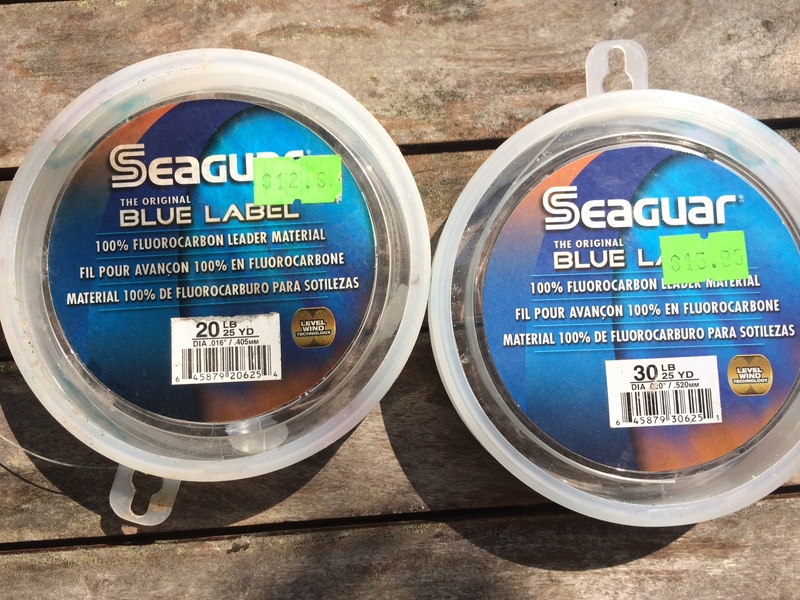 See the difference in the photo below… if you use the cheap ones them you want to miss a lot of fish. 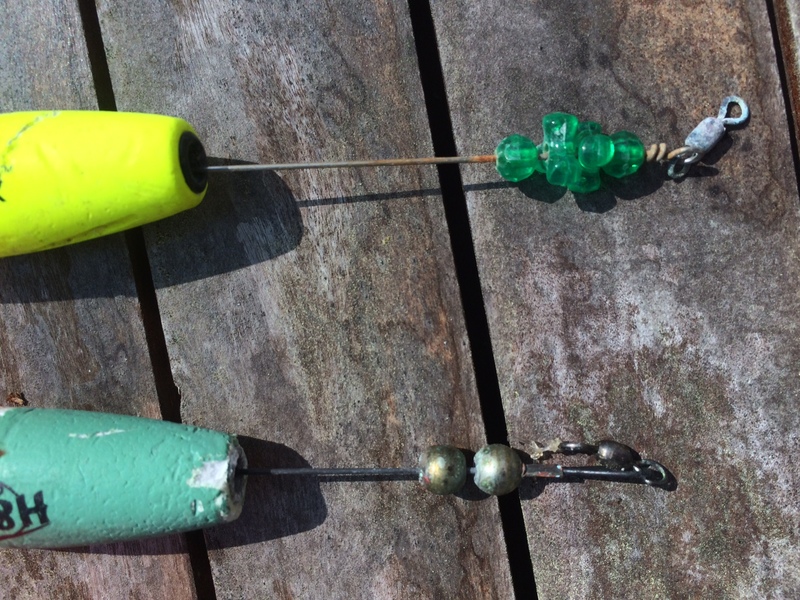 I don’t think jig head color really matters. You will find a personal preference. I like pink and gold. Slayer makes an excellent Jig head – its the pink one above. 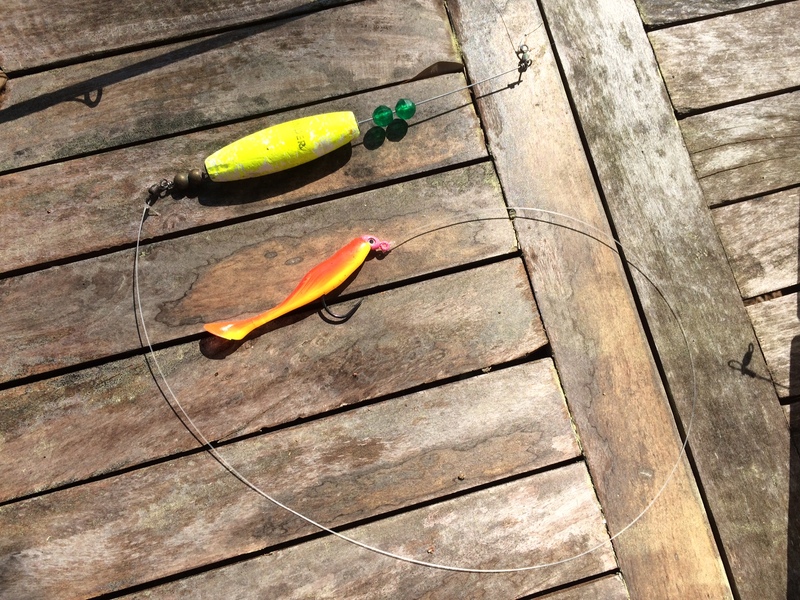 MirrOLure’s jig , the unpainted one in the first photo , is less expensive and still has a great hook. I suggest using a light jig- 1/16oz or 1/32oz. 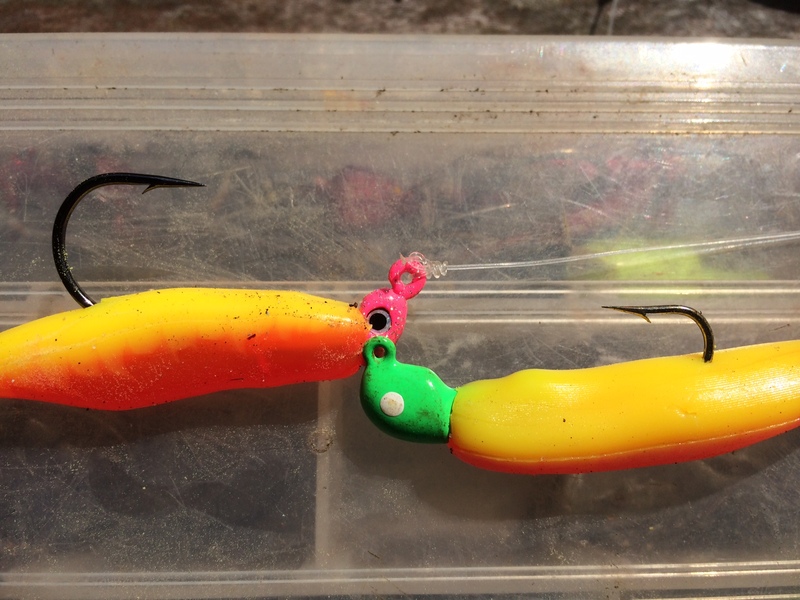 The lighter jig will still bring the jig down without sinking the float. The last part of the Rig is leader material. 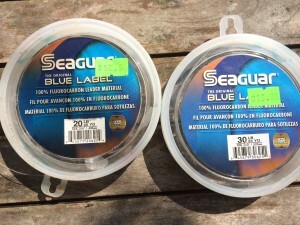 You can use plain monofilament but I find a flurocarbin leader works better. Fluro is more abrasion resistant, you’re less likely to get cut off, and because of its chemical makeup the fish can’t see it as well. I suggest using at 15-20 pound test although I have used 30 pound test in dark or stained water. 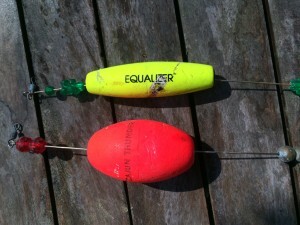 The heavier line helps prevent you from getting cut off but it may also spook the fish. Tie the main line coming from you fishing rod to the un-weighted side of the cork. Tie your leader to the weighted side of the cork. You want enough leader to keep the jig just off the bottom. For example,If you’re fishing in 4 feet of water you want about 3 feet of leader. Then tie on the Jig head. You can put any kind of rubber body on the Jig head. Locally people fish a lot with Gulp. But Saltwater Assassin, or a traditional curly tail grub both work great. Throw the bait as far from the boat as you can get it. A 7 foot rod makes casting the 3 foot plus rig a lot easier. Allow the rig to rest for a moment or two and then give your rod a quick snap. This causes the jig to jump in the water and the cork will make a rattling clacking sound draws trout. Most of the time you cannot snap your rod hard enough. The louder the better! After the snap, reel up your slack line. Count to ten and pop the cork again. Some days the fish like a faster pace other times it like a slower pace. You’ll have to experiment find out what the fish want. Many times they’ll strike it when the cork is still and you’re not working it all. You can also cast this rig on the backside of your drift and drag it behind the boat. 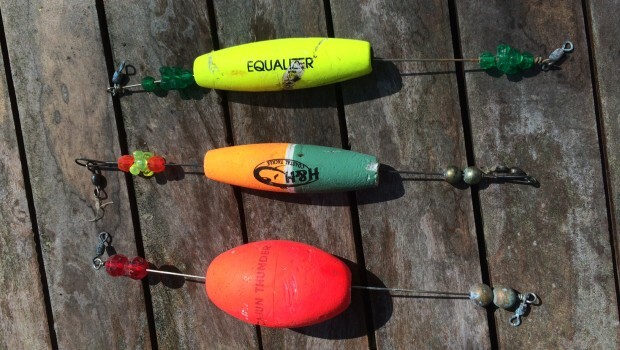 Just pop your rod every now and again and allow the boats drift to take up the slack. 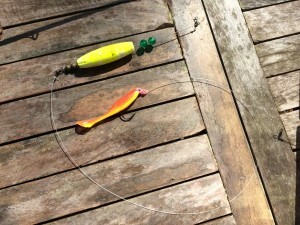 This “no reeling required” method is great for kids! 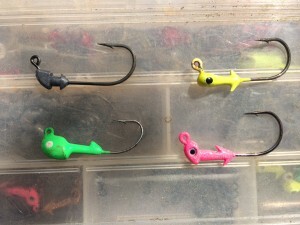 Try using a plain hook with your plastic bait rather than a jig head. It allows the lure fall through the water column more slowly. Late summer when the fish are lethargic this will draw lots of strikes. 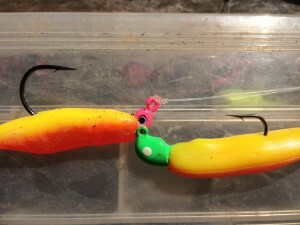 Another alternative is to bait with shrimp or piece of cut bait. You will catch more catfish and sharks this way but it can be productive when the fish just won’t hit plastic. Try using a popping cork instead of the rattle cork. Some days the chug of the popper will draw more fish. This rig is a simple and easy productive way to catch trout. 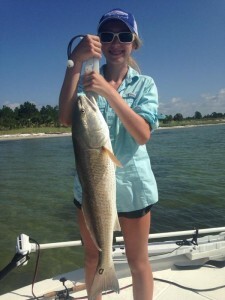 But don’t be surprised if you catch a Spanish mackerel, blue fish, flounder, or Red!